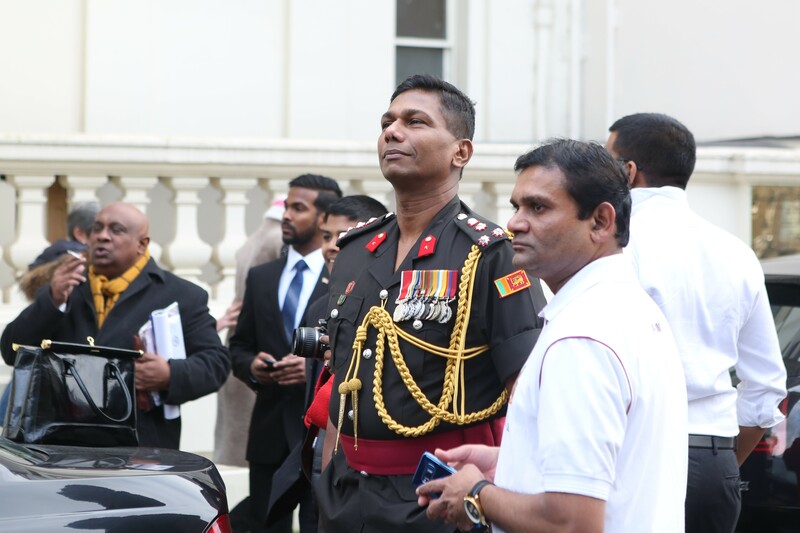 A uniformed Sri Lankan officer motioned a death threat to Tamils in London today, who were protesting against Sri Lanka's celebration of Independence Day. 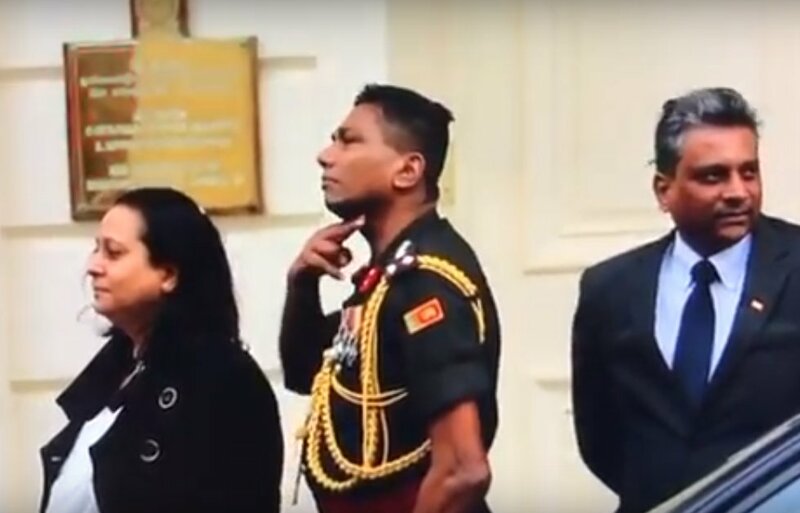 The officer ran a finger across his neck motioning the slitting of one's neck, whilst he stood in front of the Sri Lankan High Commission in London next to embassy officials. 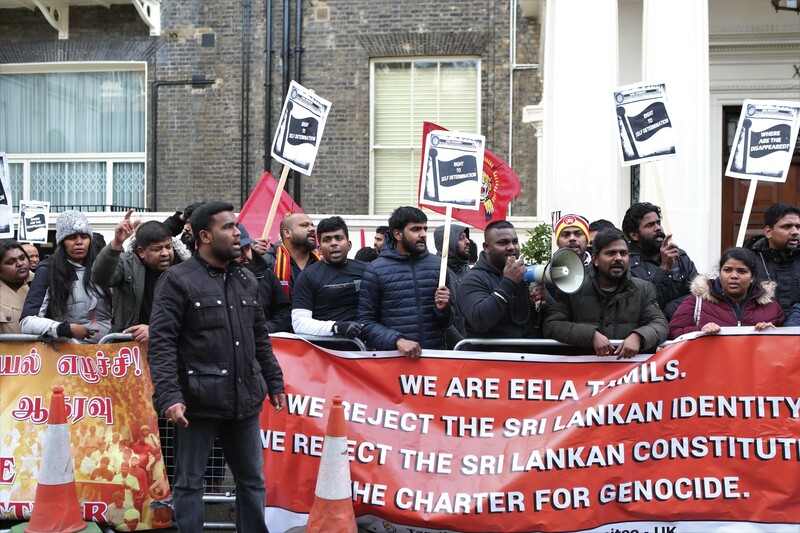 Protesters condemned Sri Lanka's Independence Day celebrations as farcical when the oppression and genocide of Tamil people was ongoing, and expressed their support for the leader of the Liberation Tigers of Tamil Eelam (LTTE), V Prabhakaran. 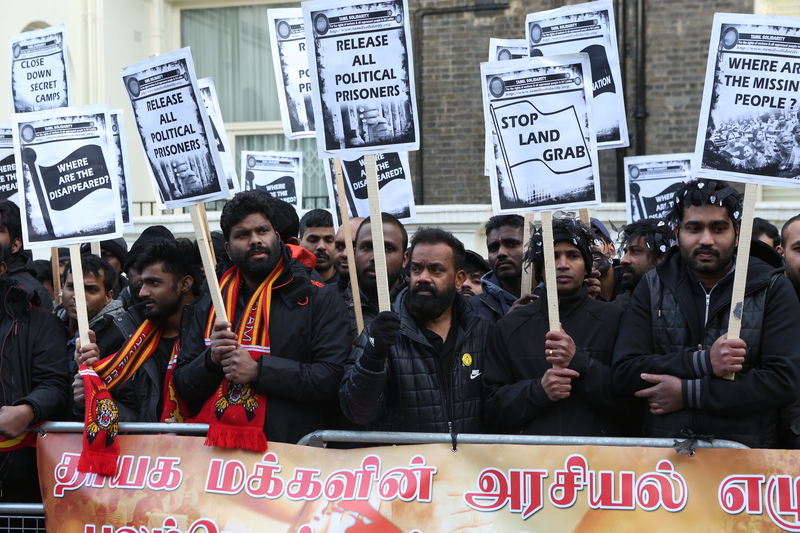 Protestors gathered outside the Sri Lankan High Commission holding placards calling for answers to the whereabouts of disappeared Tamils, the release of Tamil political prisoners and halting land grabs in the North-East. 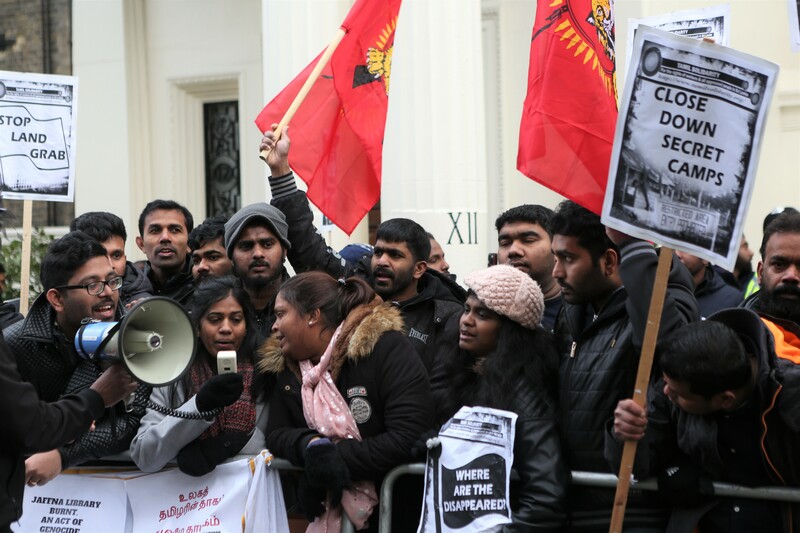 The protest took place in London, as many Tamils in the North-East boycotted the celebrations and held black flags to demonstrate their protest.